Unclutterer is pleased to announce that it has joined LifeRemix, a network of personal enrichment blogs. LifeRemix blogs explore the topics of productivity, happiness, work and family balance, personal development, and, of course, home and office organization. LifeRemix compiles headlines from all of its member blogs: Black Belt Productivity, Behance, Cranking Widgets, Dumb Little Man, Happiness Project, LifeClever, LifeDev, No Impact Man, Pick the Brain, Success From the Nest, Tim Ferriss’ Four Hour Workweek, WiseBread, and Zen Habits. As a member of the network, a link to LifeRemix now will sit permanently on the right-hand sidebar of our homepage. To garner a feel for the types of blogs featured on LifeRemix, check out 100 Great Tips to Improve Your Life. This article features entries from all the member sites. Here at Unclutterer, we love multi-taskers. Especially, multi-taskers that can be stored away in a neat little bag. The Coleman All Outdoors 3-In-1 Blanket is a versatile blanket, poncho, and pillow. This thing is perfect for camping, at a picnic, or taking it along to the stadium to watch a game. It folds neatly into the hood of the poncho to create a pillow for easy storage and to cushion yourself on an uncomfortable bleacher seat. The poncho is waterproof in case you get caught in the rain and the blanket serves you well at a picnic or for when you are chilly. It’s handle also makes it easy to hang on a hook in your garage or basement when it’s not in use. What more can you ask for? This thing is versatile on road trips and adaptable to a number of situations. So you have an infant or toddler and you’re traveling to a destination that isn’t equipped with a high chair? This Easy Diner Portable Hook-On High Chair by Regalo is a great solution to your problem. The chair can be assembled and attached to a table in a few easy steps. It also stows away into a supplied carrying bag. We put one to use for a week on vacation and it was very useful. The chair was a little difficult to attach to the table, but that was due to the tightening mechanism which was a bit cumbersome. There is a similar product called the Phil and Ted’s MeToo Chair that is double the price, weighs less, and looks a bit easier to install if you are so inclined. 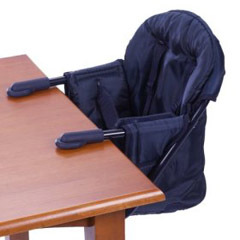 Other travel dining seats (like booster chairs) are a bit large and they don’t collapse down into a more manageable size. This hanging type of chair works well, is easily portable, and saves space in your trunk for your luggage. 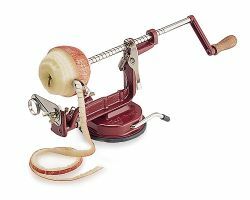 My love affair with Williams-Sonoma’s endless supply of unitaskers continues with this contraption to help you peel and core your apples. This thing might come in handy if you are baking hundreds of apple pies out of your home kitchen, but if you make a couple of apple based foods a year you may want to skip this unitasker. It measures in at over a foot long and looks to be the size of a bench vise you’d see on someone’s woodworking bench. So how many apples do you peel and core per year? In my household, I’d venture a guess of less than ten. (Maybe much less than ten.) But, if you are peeling and coring until your hands are sore, Williams-Sonoma has you covered. **Unitasker Wednesday posts humorously poke fun at the single-use items that seem to find their way into our homes. When I lived in downtown Washington, D.C., I didn’t have a car. I didn’t have a need for one. The grocery store was four blocks away from where I lived, my job was less than a mile, my husband worked from home, the metro went everywhere I regularly went (including the airport), and I saved so much money on gasoline, insurance, maintenance, and car payments that I never felt frustrated if I needed to take a cab. Many of our readers who subscribe to a simple living lifestyle and also eschew car ownership might be interested in a website I stumbled upon recently. 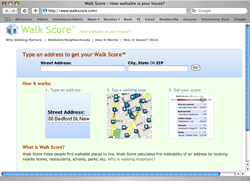 Walk Score rates different addresses based on their distance to walkable locations like grocery stores, restaurants, libraries, schools, parks, and then looks at accessibility, speed controlled streets, and other walking-friendly factors. According to the website, I used to live in a “walkers’ paradise” with a score of 92 out of 100 possible points. I would agree completely with that score. Readers looking for a car-less lifestyle should definitely give Walk Score a look before your next move. The site’s how it doesn’t work page is worth a read, too. It’s informative and quite entertaining. My husband gave me a silver necklace one year for my birthday that had a consistently round shape irrespective of if I was wearing it or not. The necklace did not conveniently fit into my jewelry box, as one might imagine, so I often stored it on a bedroom lampshade. If you’re observant, you’ll have noticed that I have been discussing the necklace in the past tense. The necklace found an unfortunate demise when my cat knocked the lamp off of its table, I absentmindedly swept up the whole mess into a trash can, deposited my trash can on the curb, and then realized my mistake a day after the trash collector had come. Weeks later, when my husband started talking about replacing the necklace I had inadvertently thrown away, I said that I had to first find a jewelry box that actually accommodate my jewelry. I quickly discovered that it is difficult to find jewelry boxes that are made to hold non-chain style necklaces. I also was surprised to learn that sturdy, well-built, non-plastic jewelry boxes are a couple hundred dollars. My frustrations increased. The solution to my jewelry storage problem came while I was visiting the hardware department at Sears. One look at the Craftsman Six Drawer Ball-Bearing Chest and I knew I had found my new jewelry box. On my way home from Sears, I stopped by The Container Store and picked up a few jewelry drawer organizers and tubes of non-slip drawer liner. Now, all of my jewelry fits comfortably inside my new jewelry box, the ball-bearing drawers open and shut with ease, it locks with a key that I can take with me when I travel, it weighs more than 100 pounds and would be difficult for someone to steal, and it doubles as a side table next to a reading chair in my bedroom. I also think that it looks really cool. My uncommon solution was not cheap, but neither were more traditional options. Most importantly, though, I no longer run the risk of losing or throwing away my jewelry because of an ill-conceived storage solution. My Craftsman Chest is an organized solution that can contain all possible forms of jewelry. This is a prime example of the Unclutterer motto: A place for everything and everything in its place. On a recent trip to the beach I passed the time by watching people lug their stuff to and from the beach. Many people had a surprisingly trim assortment of gear for their beach visit, but a lot of people (most with children in tow) had tons of stuff that they hulled through the sand and sun. The most obvious culprit were children’s toys. Out of all the beach and water toys the Water Noodle was the absolute worst offender. 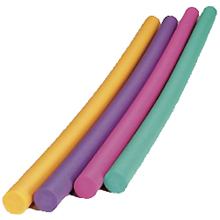 For those of you that aren’t familiar with the Water Noodle, it is a foam polymer log that floats in the water. They are roughly five feet long and are unforgiving when it comes to storage and transportation. I watched a beach dad struggle while unloading his SUV. The poor guy looked like he was wrestling an octopus. He ended up throwing the noodles on the ground as he unpacked his cooler, umbrella, chairs, and beach cart. The whole process was painstakingly slow and he still had to lumber to the beach. The guy ended up near me on the beach and his kids never even touched the Water Noodles. They were too busy digging a hole to China. Buckets were next on the list. I think buckets out numbered children by 3-to-1. Yeah, they are a necessity for children at the beach, but try to keep the number of buckets to one per kid. Limit the kid’s toys to what they can carry in their own, relatively small, beach bag. It gives the child a choice of what to bring, but it also limits how much they can bring. Having the child carry their own toys lets them help out and it saves your back from strain. After some recent fieldwork, I thought I’d follow up on my post on clutter and couples. As I mentioned in that post, my girlfriend is not the neat freak I am, and we’re moving in together soon. A move, as was pointed out in the comments, is a great time to take stock of your belongings and purge the clutter. So, we decided to tackle her closet last weekend. Action Piles – Following the 30 Days to a Simple Life plan, we set up three areas: love and keep, trash/donate, and ambivalent (only two or three things ended up in this pile). the shoes and start going through dresses; a friend can keep you focused. of work, but it’s not, and it can even be, well, fun. The friend or partner (me in this case) picks up one item from the current “chunk” and asks whether it’s a keeper, trash, or what. Again, a friend helps here by fighting off the temptation to rummage through the ‘chunk’ rather than focus on each item one at a time. Another temptation a friend helps fight off is to believe that everything’s a keeper. Because you’re answering your uncluttering buddy, you’ll have to really think about whether you need/use the thing. If something’s not obviously a keeper, but you say it is, your friend can ask gentle but probing questions to find out if that’s really the case. In the end, we got rid of five garbage bags of clothes and shoes. Yes, ladies, shoes. About half of all her shoes. My contention is not that a woman shouldn’t have many shoes if it makes her happy. Quite the contrary, I think you should have whatever makes you happy. Instead my point is that shoes, or any other similar “collectibles,” have a tendency to come in the closet but never go out. As long as shoes are neatly organized, and pairs that are never used are thrown out, knock yourself out. if you really use it is a great exercise to do regularly with your shoes and all your possessions. The extreme minimalist used to be a vocal advocate of once-a-month cooking. That came to an abrupt end when I let him tag along with me to Costco a few months ago. We did our shopping separately and agreed to meet up at a specified time and location inside the store. He never showed, so I went looking for him. 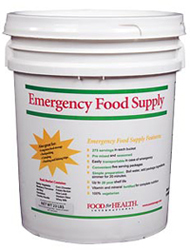 Each bucket contained an emergency food supply with 275 servings inside. At $115 per bucket, my friend realized he could eat for an entire year on less than $500. Tears swelled up in his eyes when I mentioned he could probably also get rid of the refrigerator in his apartment. For obvious reasons, my wife and I now make a sport out of coming up with excuses for avoiding his dinner parties. As I type this, I’m at a cabin in rural Pennsylvania. The summer is underway and the mosquitos are out in full force. The cabin in which I am staying has many mosquito repellent solutions and they all work fairly well, but they are literally everywhere. There are five in plain sight from where I sit and they are all different. Sprays, candles, and bug zappers are what most people turn to in their fight against mosquitos. 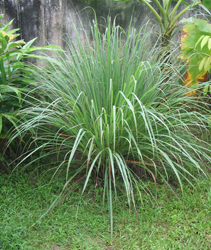 All of these items, however, require storage and add clutter when strewn about the yard. Now, as a result of demand in other markets, Lowe’s is making available Katrina Cottage plans and kits to consumers across the country. Similar to the Sears “Modern” mail-order homes that were popular in the first half of the 1900s, the Katrina Cottages are considered to be complete homes. 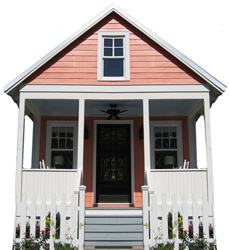 A purchase of a Katrina Cottage contains all of the required materials except for the home’s foundation, HVAC system, and furniture. The smallest blueprint plan Lowe’s offers is for a two bedroom, one bath, 544 square foot home. The largest blueprint plan is for a five bedroom, three bath, 1807 square-foot model. There are 11 plans total, and all models have plans available for additions and build-outs. Pricing isn’t direct on the website, but piecing together what information exists, it looks like costs start around $20,000. For the price of a new car, you could have a new home. If the cottage style doesn’t speak to you, but you’re interested in small, pre-fabricated homes, you might enjoy the homes listed on FabPreFab. Many of the homes on the site are just as small, some ever smaller, than the Katrina Cottages.